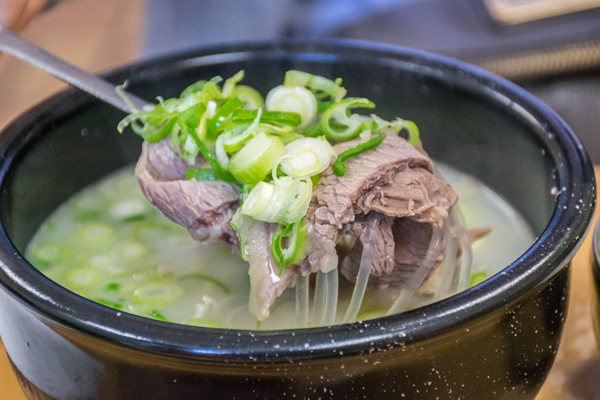 Sullungtang is a type of Korean beef soup, made by boiling various parts of bone for hours to get a depth of flavor in its broth. 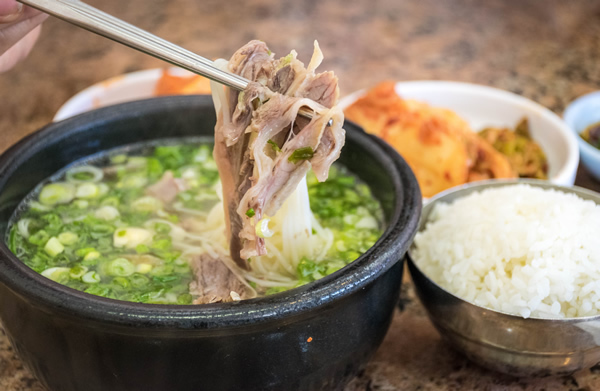 Since I'm a very nice person and I know you would like to know where to go for this delicious soup in LA Koreatown, I have made the sacrifice and visited three different restaurants to give you my thoughts. 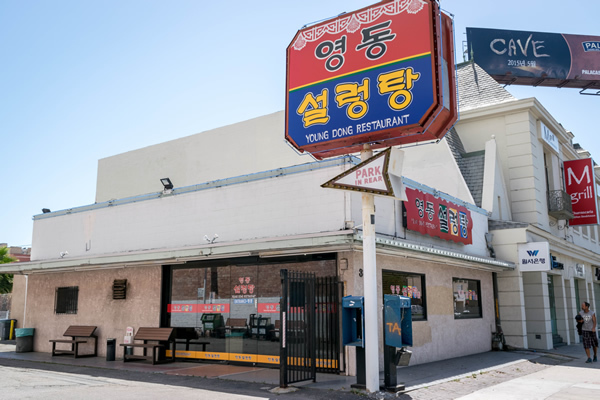 Without question, the most famous Sullungtang restaurant in LA. 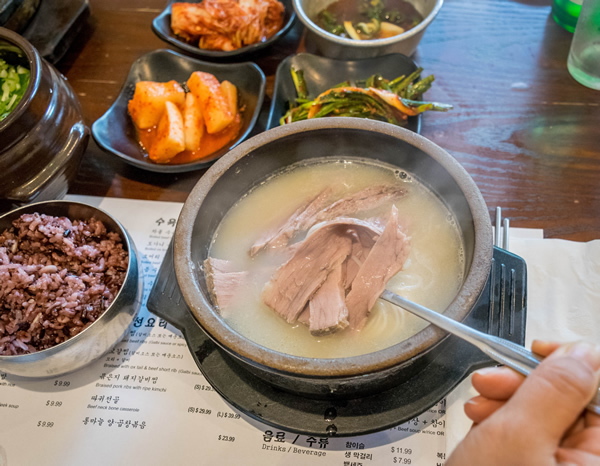 Sullungtang is the only item on their menu, and you can have different parts of beef in it, but the milky bone broth is the star. It's crowded any time of the day, and it is always full of old-school Korean people, which you know is a sign that the food is pretty legit. There is not much in terms of decor, it's a very simple restaurant. You go in, order which type of beef sullungtang you want, and the dish comes out piping hot a few minutes later. 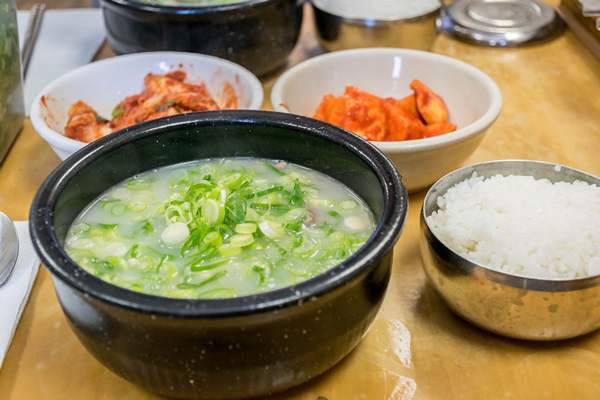 There is a huge container of green onions at every table, and you put in however much you want (more the merrier). Add some salt and pepper, and you are golden. One of the reasons why Han Bat does so well is their delicious kimchi. 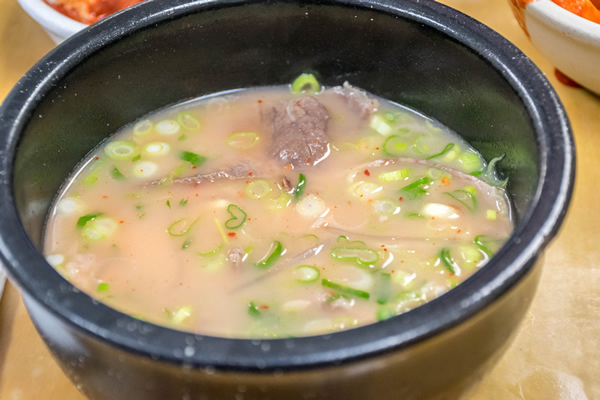 Sullungtang is traditionally eaten with radish (kkag-doo-gi) kimchi, and it is common for Korean people to add the spicy kimchi broth in the soup for extra flavor. 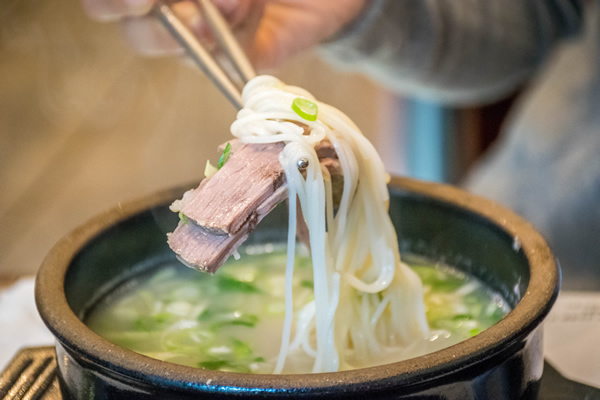 For carb-lovers, there is a little bit of noodles in the soup, but you also get a bowl of rice that you can either put in the soup or eat separately. Cash only. The "other" sullungtang restaurant. This restaurant sets itself apart by making "clear" sullungtang, which is not as common as the milky version. 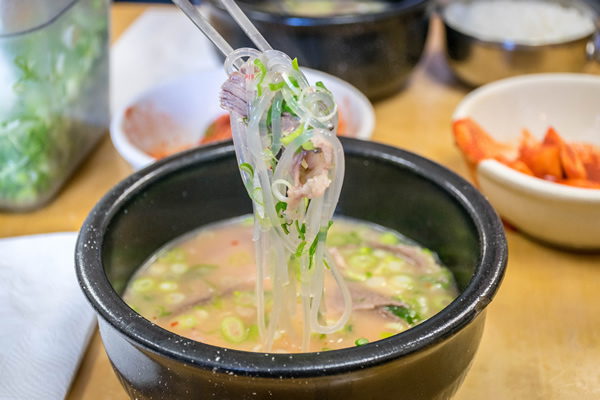 Some Korean people prefer the clear broth, which is not as rich or heavy. 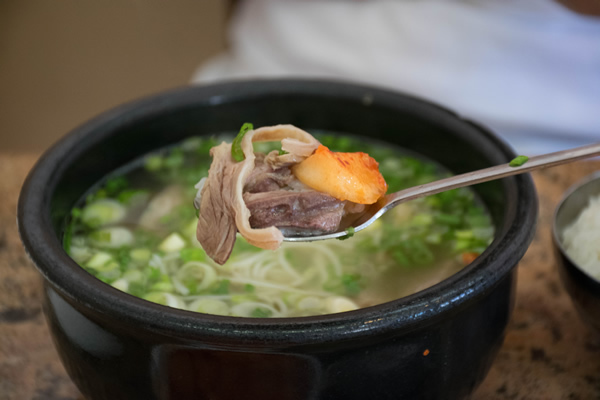 Han Bat and Young Dong both serve beef based soup, but Han Bat boils their bones for a long time to achieve the milky consistency, while clear broth indicates that Young Dong uses less bones and more meat to achieve its soup flavor. The kimchi here was delicious. If you want to know what good radish kimchi should taste like, you have to try Young Dong's kimchi. Their lettuce kimchi was delicious as well, but the radish kimchi had the perfect tartness, sweetness, and spice. Even better than Han Bat. I'd buy a jar of this if I could...I should ask next time I'm there! If you're used to the milky sullungtang, this clear version might be a little bland or boring, but to me, it was equally delicious, just different. I think it would come down to manhattan versus new englandfind clam chowder or In-n-out vs Shake Shack. You might not agree, but each version has their own ardent supporters. The clear sullungtang is sometimes referred to as gom-tang in Korean. There is no clear definition of what differentiates gom tang from sullungtang. 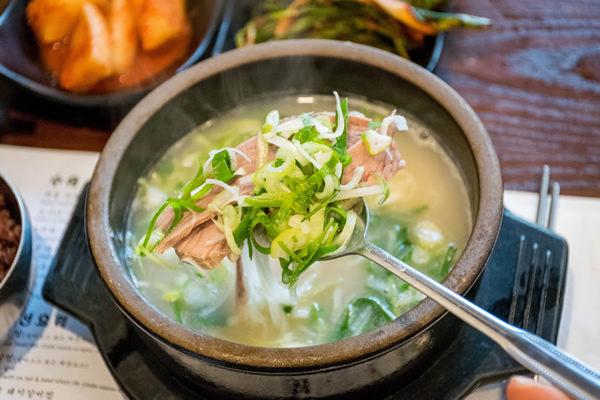 You might hear the term used to describe the soup at Young Dong Restaurant. 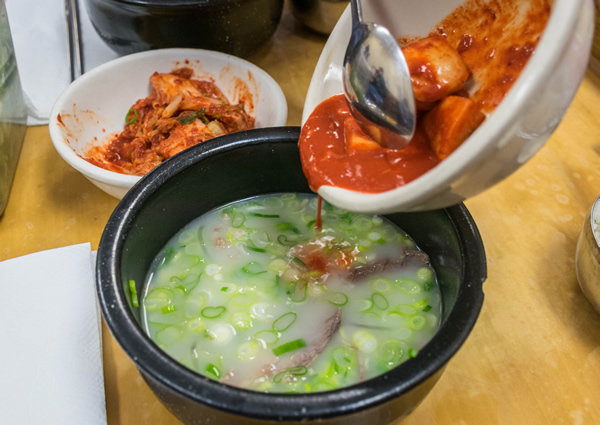 The new kid on the block, Sun Nong Dan also makes a good bowl of sullungtang. Sullungtang isn't their only specialty, they make a killer spicy braised short rib dish as well. The sullungtang at Sun Nong Dan is milky like Han Bat, but I found the soup to be not as thick or rich as Han Bat. Almost like a cross between Han Bat and Young Dong? The meat was very tender in the soup, probably my favorite out of the three. Their kimchi was my least favorite though, way too sweet for my liking. A little overripe as well. Here you have the option of getting purple grain rice, which wasn't offered at the other two restaurants. It is also about 10-11 dollars/bowl. 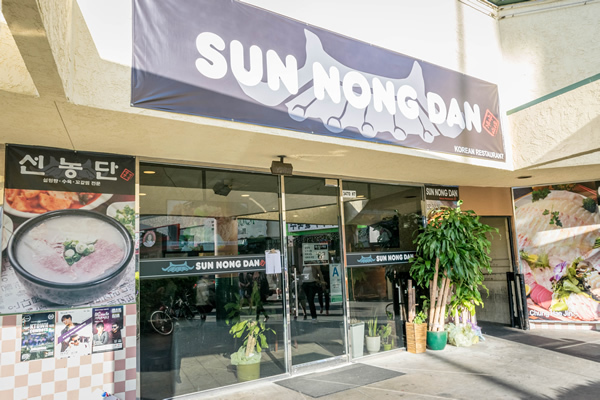 One big advantage of Sun Nong Dan is a more diverse menu with meat, soups, combos, etc. Great if you're in a group and want to do family style. And did I mention it's open 24 hours? Soup: My favorite was still Han Bat, but all three provided excellent depth of flavor. 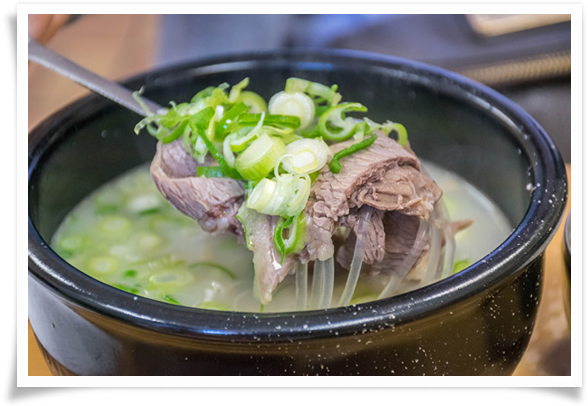 If you're looking for rich broth, Han Bat is the way to go, if you like clean broth, Young Dong is the best. Kimchi: Young Dong had the best, followed by Han Bat. 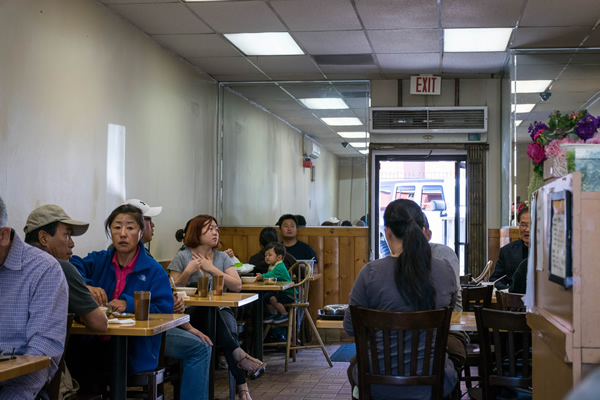 Decor: Sun Nong Dan is the newest, hippest place out of the three. You will actually see groups of young non-Korean people having fun. Service: All three do not have much in terms of service. They are all busy restaurants that serve huge crowds, especially during peak hours. Chances are, you will wait for a table at Sunongdang, maybe Han Bat, but rarely Young Dong. Alcohol: None at Han Bat, but Young Dong and Sun Nong Dan carry alcohol. I'd recommend Sun Nong Dan for a group, since there is more offerings on the menu and soju and beer are available. It's also located in a busy plaza, so it feel more like a night out on the town. 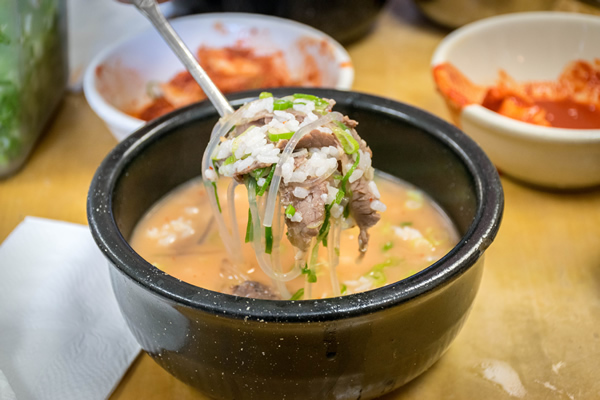 Once you've imbibed quite a bit of soju and you're hungover, Han Bat would be great to visit the next morning. 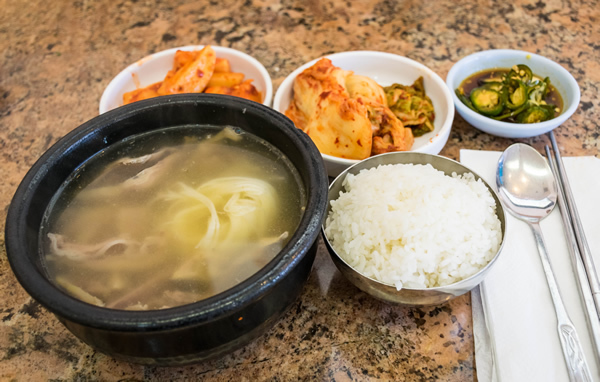 They have sullungtang boiling away at all times, so you are served minutes after you order, and you're usually done within 30 minutes or so. Young Dong if you want something different or you want a lighter soup. Young Dong also carries some dishes other than sullungtang, but not as extensively as Sun Nong Dan. 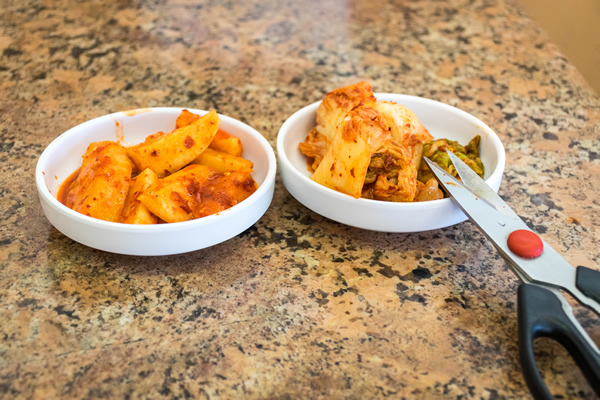 Hope this post helps next time you get a hankering for sullungtang. Given that it takes hours and hours to make it at home, it is well worth the 10+ dollars/bowl in any of the above restaurants. And that is not even factoring in the yummy kimchi you get on the side that has taken hours of labor and days of fermentation to get it just right. 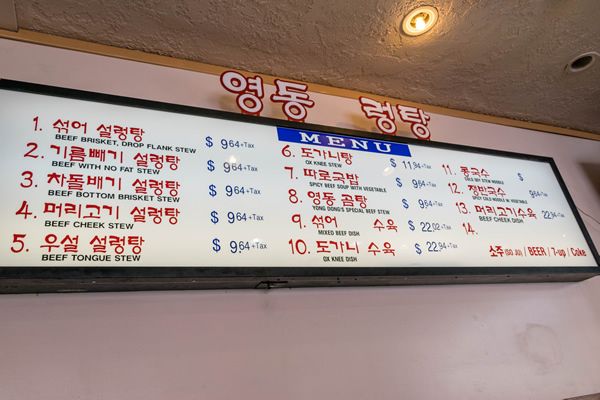 Think about that the next time you want to complain things are too expensive... sullungtang in Ktown is delicious, filling, and well worth the price. 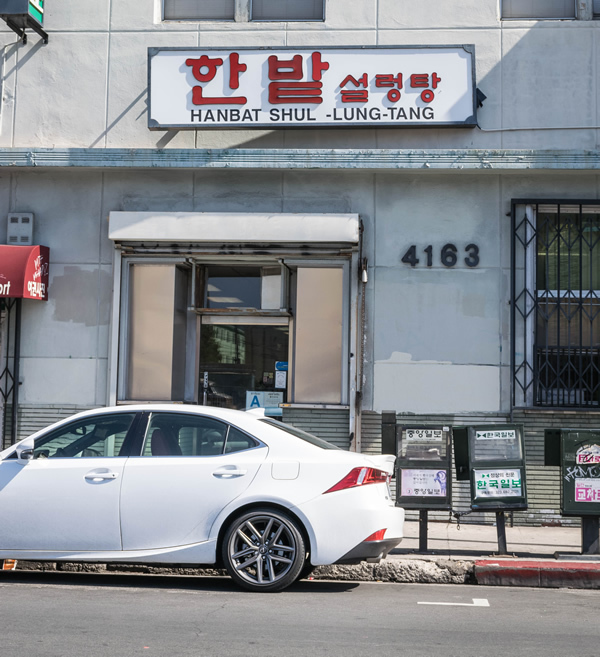 If you have another favorite place to eat sullungtang, please let me know in the comments. Enjoy!